We live in a world where people constantly take pictures of themselves with their smartphones. Whether you love them or hate them, selfies are here to stay Take a Better Selfie With the Help of Famous Politicians Take a Better Selfie With the Help of Famous Politicians Read More — and that really doesn’t have to be a bad thing. We all just need to know to take selfies that look nicer. I’m not talking about training to be a professional photographer, either. If you own an iPhone Speed Up Your iPhone by Manually Clearing the RAM Speed Up Your iPhone by Manually Clearing the RAM Here's a quick trick that you can use to manually clear an iPhone's RAM -- and it doesn't involve closing down open apps! Read More , there’s one simple thing you can to do take selfies that are far more stable, and therefore better looking. All you need to do is plug in your Apple headphones Buying Wireless Headphones? 6 Things You Need to Know Buying Wireless Headphones? 6 Things You Need to Know Planning on buying wireless headphones? Here's what you need to know about price, form, technical specs, and more. Read More ! Just like the volume button on the iPhone itself functions as a shutter button, you can use the headphone volume button for the same purpose. When you’re holding your phone out in front of you and pushing the button (or tapping the screen), you end moving the phone. When you use the headphone button, you can take the photo from outside the shot without moving the phone itself. 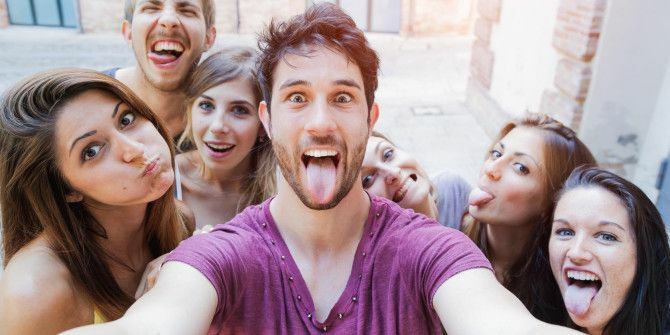 Try it next time you take a selfie, and you’ll be surprised at the results! Any selfie tips you think we should know? Do you hate selfies altogether? Share with us in the comments! Explore more about: Selfie, Smartphone Photography.